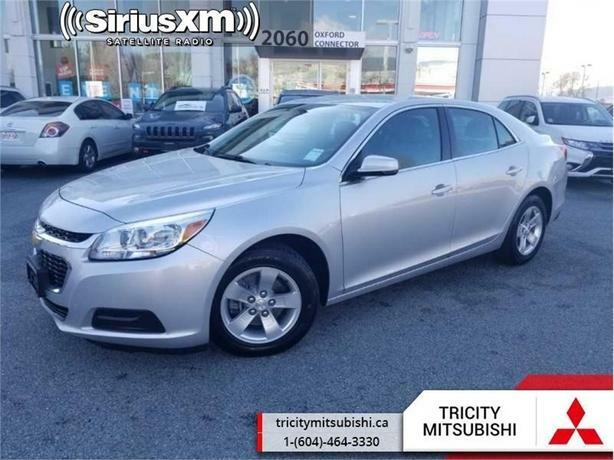 If you're looking for an alternative to the Honda Accord or Toyota Camry, the 2016 Chevy Malibu Limited should definitely be on your short list! This 2016 Chevrolet Malibu Limited is for sale today. Here's to the strong, silent type. The 2016 Malibu Limited embodies just that in its smooth performance and handling. This Malibu proves that the beauty of purposeful design is more than skin-deep. Ultra-high-strength steel is used throughout for a structure designed to be exceptionally strong, rigid and very quite. Four-wheel antilock disc brakes help ensure reliable stopping performance, while the tuned suspension provides responsive handling. This sedan has 56164 kms. It's grey in colour. It has a 6 speed auto transmission and is powered by a 2.5L 4 Cylinder Engine. This vehicle has been upgraded with the following features: Touch Screen, Bluetooth, Cruise Control, Siriusxm, Remote Keyless Entry. It has some remaining factory warranty for added peace of mind.